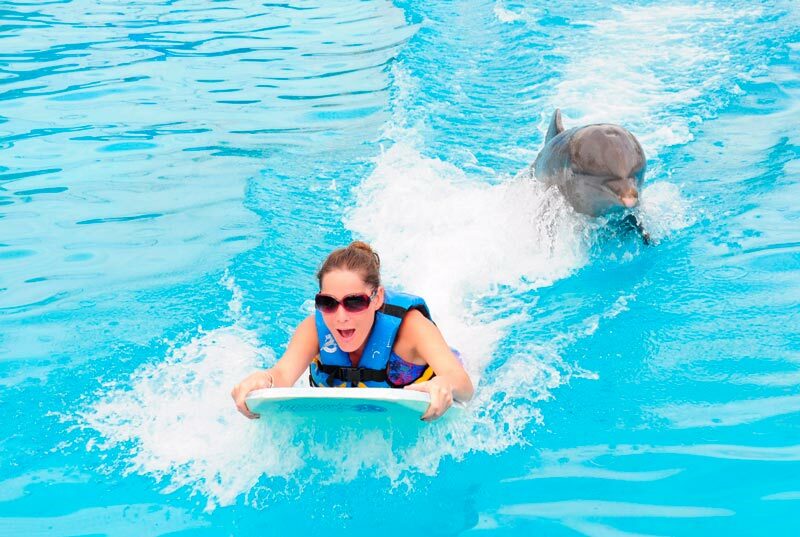 The best option to swim with dolphins in their natural habitat, not in a pool. 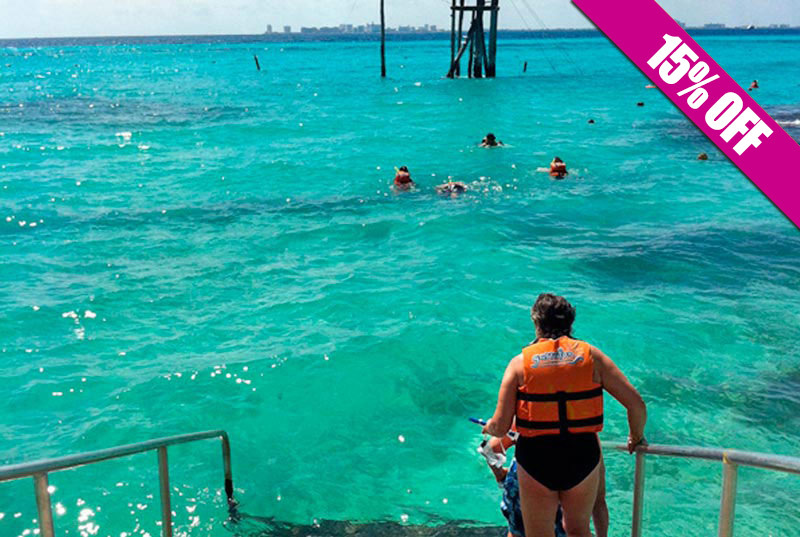 Come to Isla Mujeres and enjoy the Dolphin Swim Adventure, where you'll make your swim with dolphins dream come true! 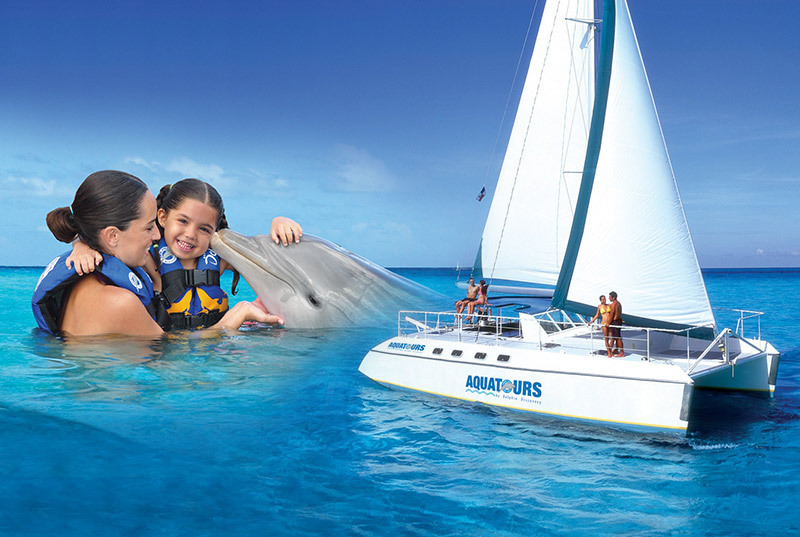 Enjoy a 1 hour underwater experience with Dolphin Swim Adventure Cancun, where you'll be able to kiss, hug, hand shake,snuggle and belly ride the beautiful dolphins.Enjoy the rest of the day on our beatiful beach club facilities where you'll have for free: open bar, buffet lunch, snorkel with sharks and stingrays, bike tour and tour to Isla Mujeres' Downtown. 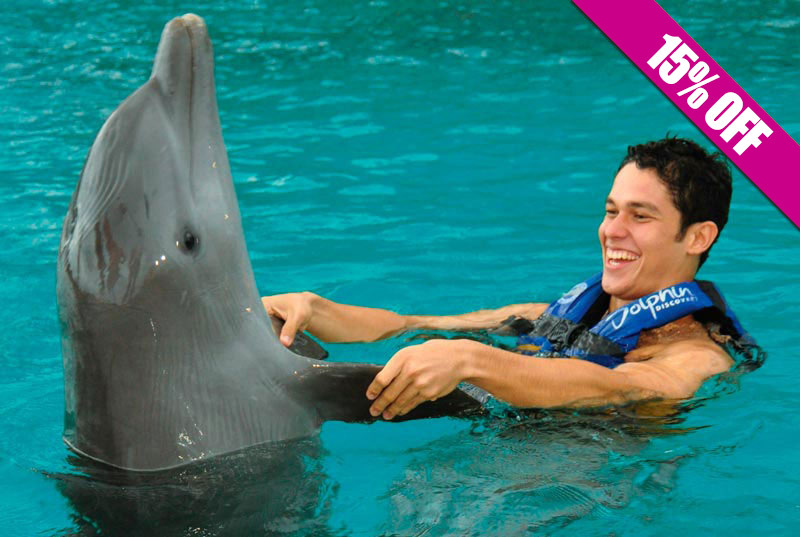 Get the best price for Dolphin Discovery Swim Adventure here! 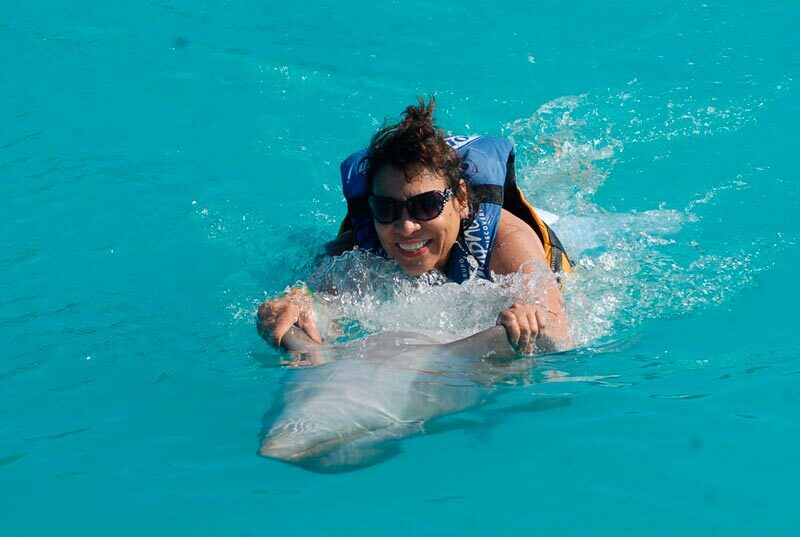 The Dolphin Swim Adventure in Isla Mujeres program let you create a unique bond with this beatiful animals. 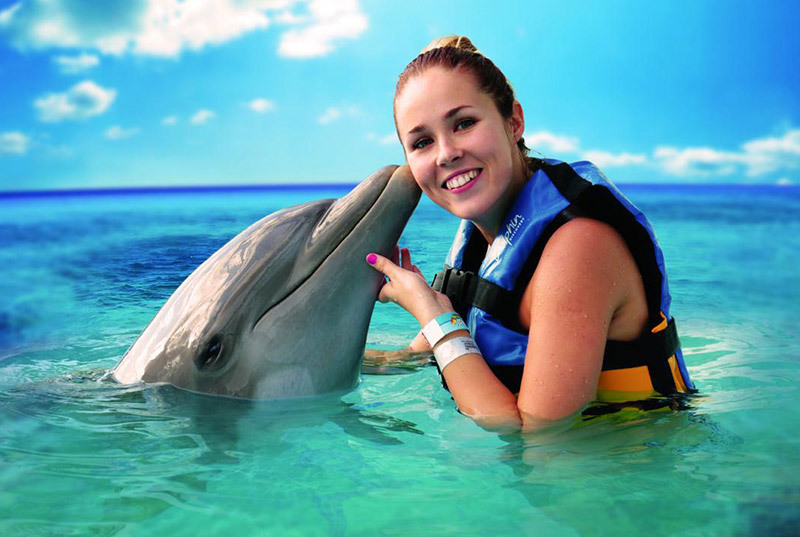 Immerse yourself underwater an take a closer look to dolphin's world through a snorkeling mask and live a magic moment . 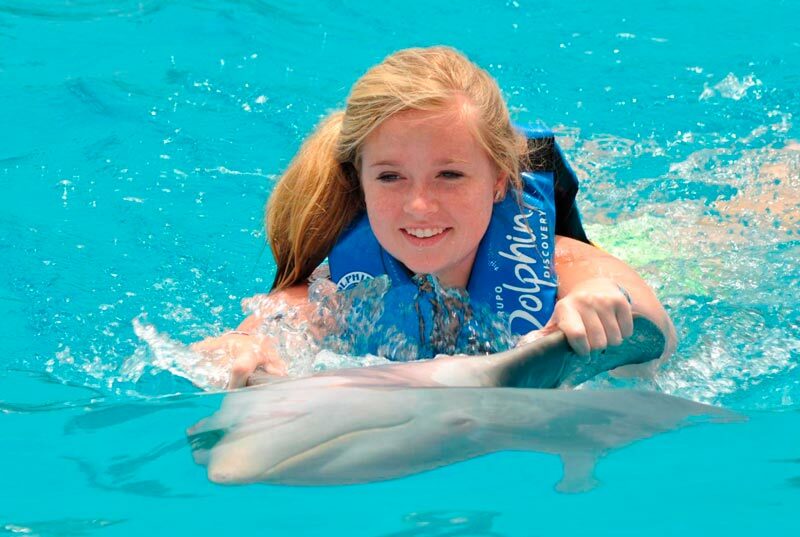 Enjoy more than 5 different dolphin behaviors such as "Boogie push" and "Belly Ride" where you will hold on to the dolphin’s fins as he rides backwards across the water. Book now and get the experience of a life time! Use of facilities: lockers, showers, swimming pool, lounge chairs. 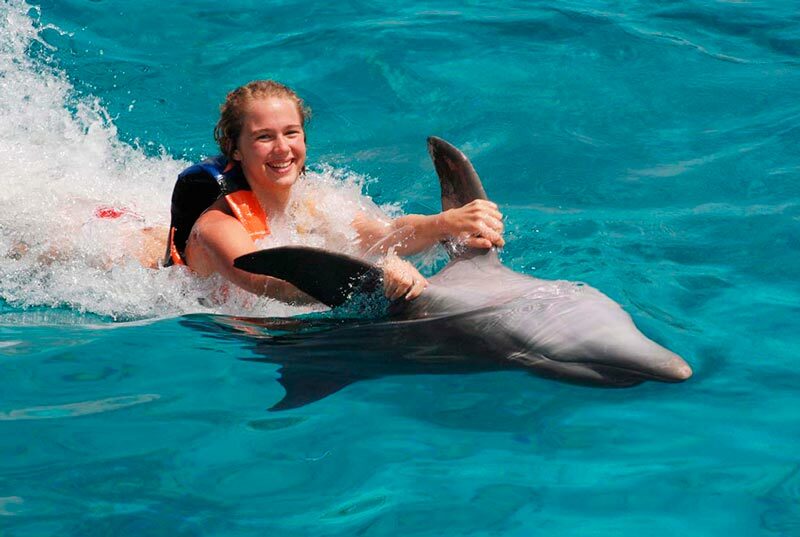 Dolphin interactions: the famous belly ride, boogie push, handshake, kiss, hug and free time. View of sting rays and nurse shark. 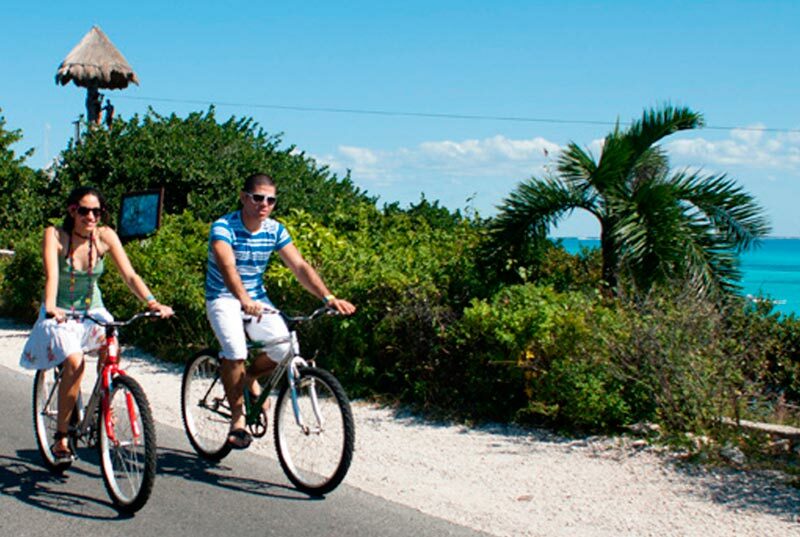 Bike tour to Ixchel godess' temple. Only in Encounter program, women with less than 5 months pregnancy can participate with another adult as a companion and after signing the Responsibility Form. 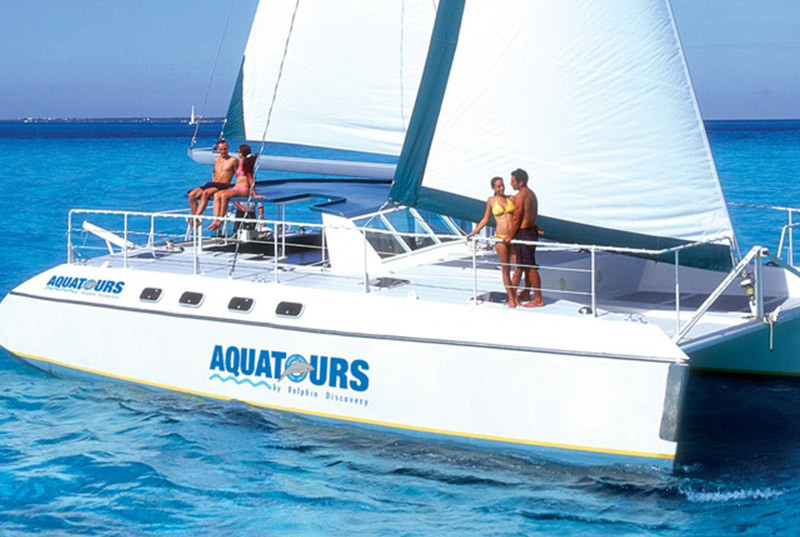 Enjoy a trip to Isla Mujeres in a Catamaran. 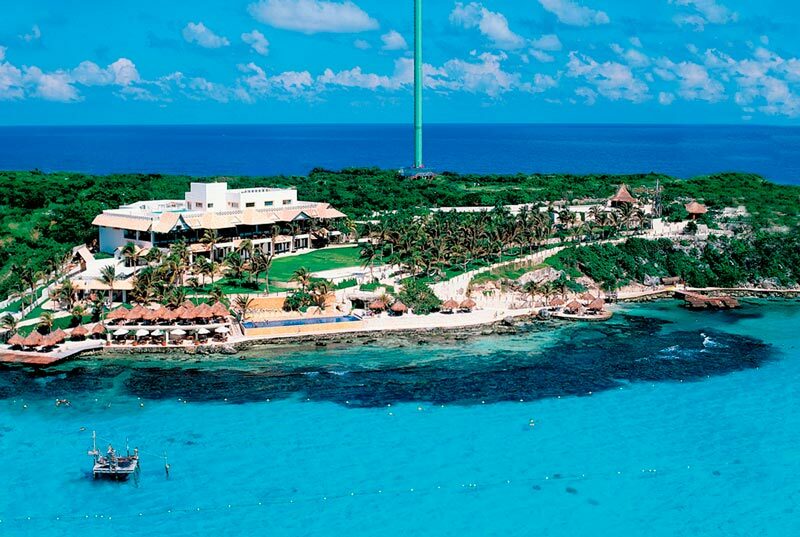 A snorkeling tour, food and beverages are included. 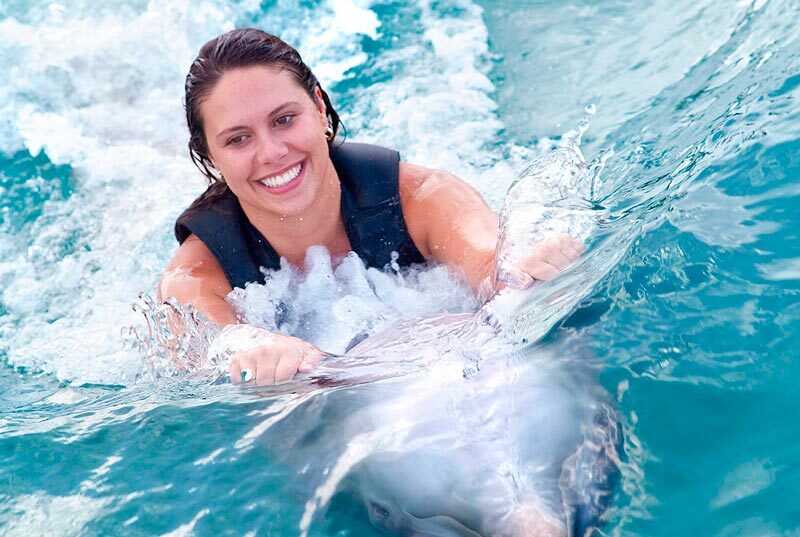 Enjoy more than 5 different dolphin behaviors such as "Boogie push" and "Belly Ride" where you will hold on to the dolphin’s fins as he rides backwards across the water. Book now and get the experience of a life time!